Read my other post first. At that time, I was the only one having trouble seeing the logo correctly. And I thought it was a compatibility issue with Firefox. Now it looks even worse. Apparently they’re trying to fix it as the page displayed a “Page not available” warning once or twice. How hard could it be? As I said the page looks horrible. You can barely see the left menu, not to mention the logo which looks awful. 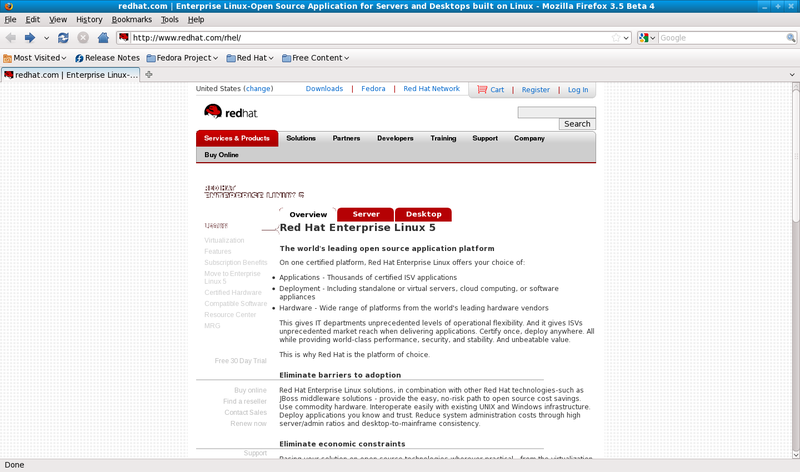 Tried it on Firefox 3.5 Beta 4 (Fedora 11 Preview 64-bit), Firefox 2.0.0.19 (Fedora 8 64-bit), Firefox 2.0.0.20 (Windows XP), Internet Explorer 6 running using IEs4Linux and finally Opera 9.64 (Fedora 11 64-bit). The page doesn’t look professional and that can’t be good for business. 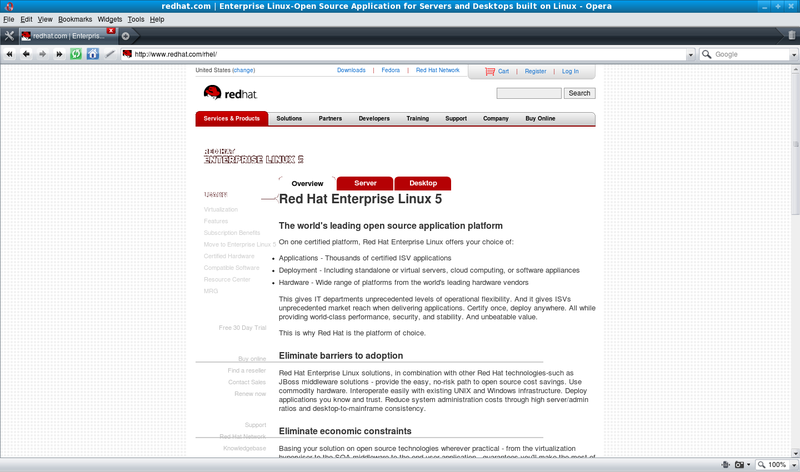 The issue only appears when accessing the page using http so here’s the required link: http://www.redhat.com/rhel/.